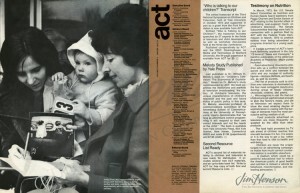 By 1974, under pressure from groups like ACT, the Federal Communications Commission (according to a 1996 FCC report,) “…recognized that broadcasters have an obligation to provide children’s educational programming.” Their policy statement noted that, “…broadcaster’s public service obligation includes a responsibility to provide diversified programming designed to meet the varied needs and interests of the child audience. . . In this regard, educational or informational programming for children is of particular importance.” At the time, however, the FCC left it to the broadcasters to voluntarily increase the number of hours and provide quality guidelines for educational programming. ACT’s work was hardly finished. The FCC continued to monitor broadcasters and found that by 1979, broadcasters were complying with recommended commercial time limits but were also airing less hours of educational programming. Even so, the FCC concluded that it was not necessary to impose mandatory program-related requirements and again said it was the obligation of the broadcasters to take responsibility for what aired. By this time, ACT had allies. These included the National Council For Children and Television (who honored Jim in 1983 with a lifetime achievement award) and the New York State Governor’s Advisory Council on Motion Picture and Television Development (Jim was on the board), among others. It was clear that voluntary regulation was not working. In 1990, Congress passed and the FCC enacted the Children’s Television Act. According to the Government Accountability Office, the CTA, “…rules restrict advertising during children’s programs, whether aired by broadcast stations, cable operators, or satellite providers, and encourage broadcasters to air at least 3 hours per week of educational and informational programming for children.” If they don’t comply, broadcasters can lose their license. The CTA has been strengthened over the last 20 years. The passionate founders of ACT, helped by Jim’s contributions, had achieved their goal, and by 1992, they disbanded the organization. Brian Henson wrote a heartfelt letter of gratitude to co-founder Peggy Charren, promising to continue the effort that she, Jim and others made to ensure that children are well served by what they see on television. The Winter 1973/74 newsletter from Action for Children’s Television. 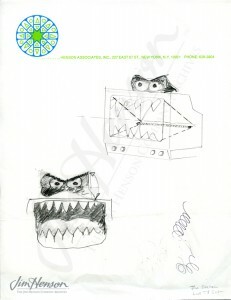 Despite this sketch, Jim felt that television should be friendly to children. This entry was posted in 04-April '74, 1974, Appearances. Bookmark the permalink.